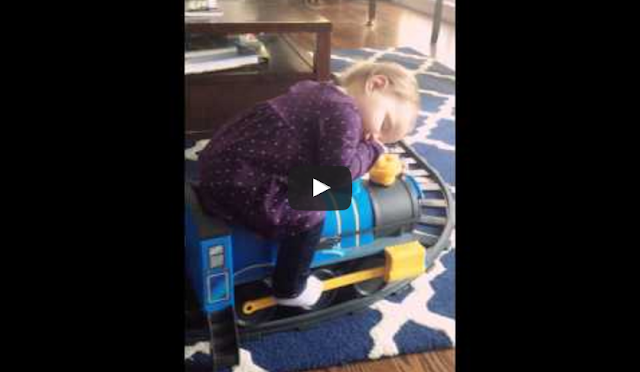 Baby Vivienne ran out of steam and fell asleep while playing on her older brother's Imaginarium toy train. Vivienne's dad, Andy Hoeing, explains what happened: "She knows how to mount and dismount the train, so I wasn't worried when I went into the other room to respond to a work email. She became oddly quiet (you know, like when they're being mischievous), so I quickly headed back to check on her. She had fallen fast asleep! Melted my heart."